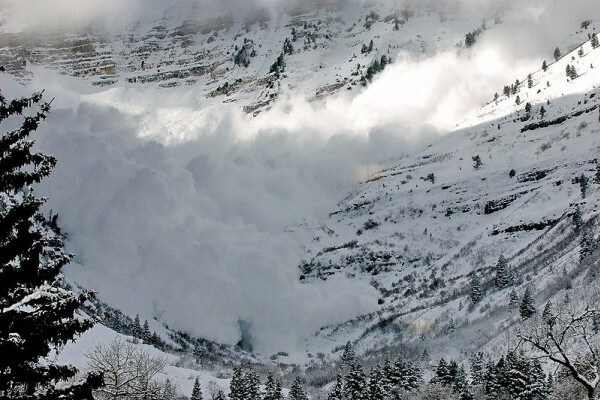 With summer on its way (apparently) scientists who study the physics of avalanches have had to develop ingenious ways of studying what happens when snow cascades down slopes at up to 100 miles per hour. And they don't have to go on the piste to do it. Nathalie Vriend at the University of Cambridge's Centre for Mathematical Sciences simulates avalanches by using what looks like a big metal phone box leaning on its side. There are no glass walls - just a rectangular frame and a narrow conveyor belt on a slope. Nathalie - Both snow and sand consist of small particles and these particles, when they start to move, they interact and collide with each other. Because of that the physical processes that occur on this small scale are actually very similar. So, we're doing our experiments with sand instead of snow. Sue - Can you demonstrate to me what you actually do? Can we turn this huge contraption, this conveyor belt of sand, on? Nathalie - Yes of course, I am happy to... I'm opening a valve that opens the centre flow. The sand is being let in at the top of the incline. The distance where the sand can avalanche is about three metres long, so we're bringing the sand to the top and it starts to avalanche down. Sue - I can see now some of the sand coming out of a little tube at the top of the slope which is just a bit higher than me, so it's a couple of metres high. Nathalie - At this moment the sand is not flowing fast. What we can do is actually open the valve a little bit higher so that the sand starts to come out in bigger quantities. Sue - Oh gosh! That's really interesting; it looks like your slope of sand - the central bit - now looks like a flowing molten river of sand. Sue - Oh yes, they're turning round and not moving so much. Nathalie - Exactly, and there are actually some grains that are static or not moving at all. Sue - Is that what happens when snow goes down a slope? Nathalie - Yes indeed. When a mass comes down a mountain it goes the fastest in the middle and the velocity goes further to zero towards the sides. Therefore if you look very carefully at deposits on the mountain you can always see that the snow carved its way through a deposit and left debris on the side. Sue - How did you choose the angle of your slope? Nathalie - The angle that avalanches usually occur is between 30 and 45 degrees. That's actually pretty steep, it's much steeper than you would ever drive on. Let me change the flow rate right now because then you can see some other features as well. Sue - Oh gosh, that's interesting. Instead of a free flowing river it was almost like a drop of treacle. Nathalie - So in this case, because we reduced the flow rate there is not enough sand coming through to form this continuous river. Because of that the sand accumulates to the top of the incline and just starts to avalanche, the slope fills when there is a certain amount of sand available. So you get these intermittent avalanches and they almost look like tongues going down the incline. Sue - What do you hope to learn by studying this flow, this avalanche of sand? Because a certain amount is known already? Nathalie - It is really difficult to understand exactly what's going on because as you can imagine, if you have a flow of water down a incline, researchers know pretty well how to investigate water down an incline. But if you have a solid material the physical laws aren't very well understood. In this case you have this odd mixture of different phases; as you look in the middle of river of sand it looks like a flowing stream and it goes very fast and there is a lot of motion going on. But if you look at the side of the river it is static and that's really hard to model. So the bigger picture is that we want to understand where the avalanches are going, how far they get, how forceful and how big they are and what kind of pressures occur in them. The reason is that we want to understand where we can build buildings and roads and where it is safe for people to live. In the past people relied on historical records but they may not be very accurate anymore because the climate is changing so, snow fall and temperatures are changing as well. Also, not every point in the world has historical records. We want to be able to model snow avalanches from a physical point of view to actually be able to apply it to every valley and every mountainside in the world. Why do I urinate more often in cold weather? Will gritted roads hurt wildlife?